Hey there, crafty friends! I am super excited to be a guest this month for The Stamp Market. With the first release last month, I knew instantly, I would be head over these for their clean, simple and trendy stamps. This month is no exception! I have 3 cards to share today using several of the new sets. 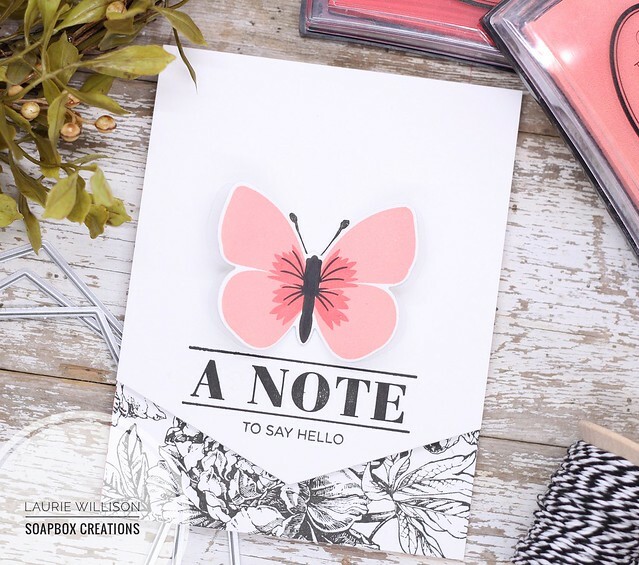 This frist set is a combo of Papillon and Kindness Noted. 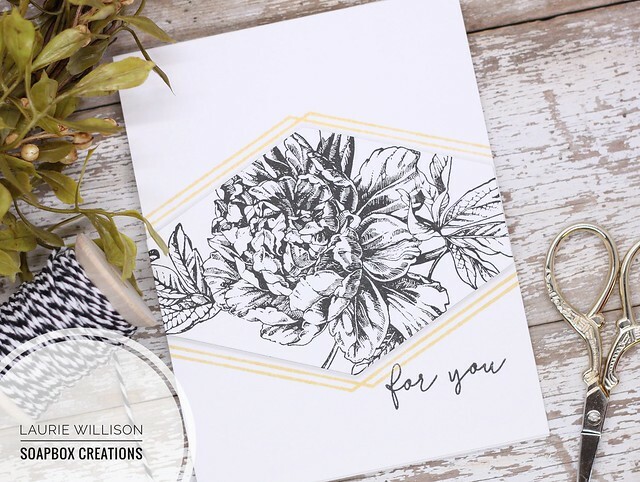 I added the large floral from Kindness Noted to the card base and then popped up the card front after cutting the bottom off with the Kindness Noted dies. I added in the sentiment and that gorgeous butterfly to add a pop of color. The butterfly set is so versatile and has additions to create you image with more or less detail. Definitely a must have for your crafty stash! This next card uses the Bows for You and Thank You So Much stamp sets. I used the largest ribbon die for these stripes....except I used it upside down to get one solid image. 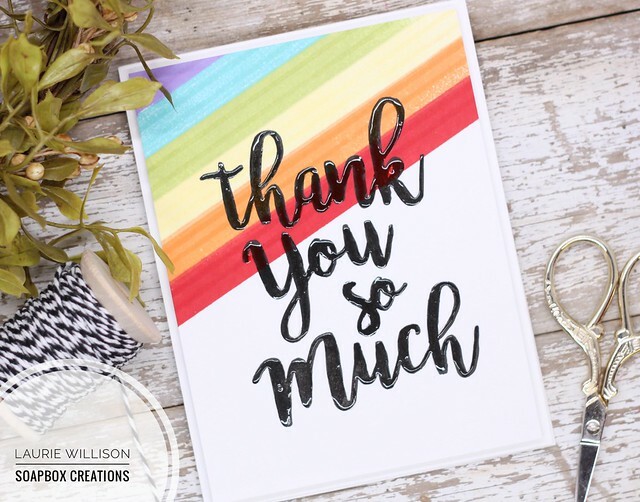 I did add in some of the smaller ribbon stamps to get a striped look on the rainbow of colors. 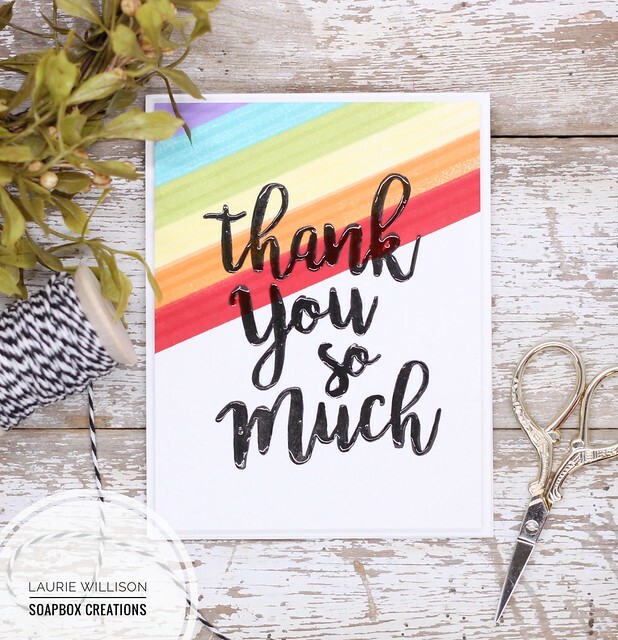 I added in the thank you stamp in black ink and then covered it in Glossy Accents. 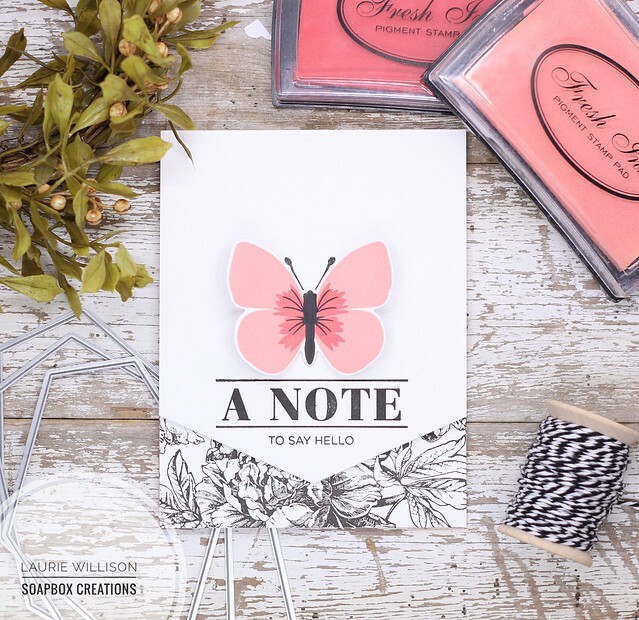 This last card uses Kindness Noted and a sentiment from Bows for You. 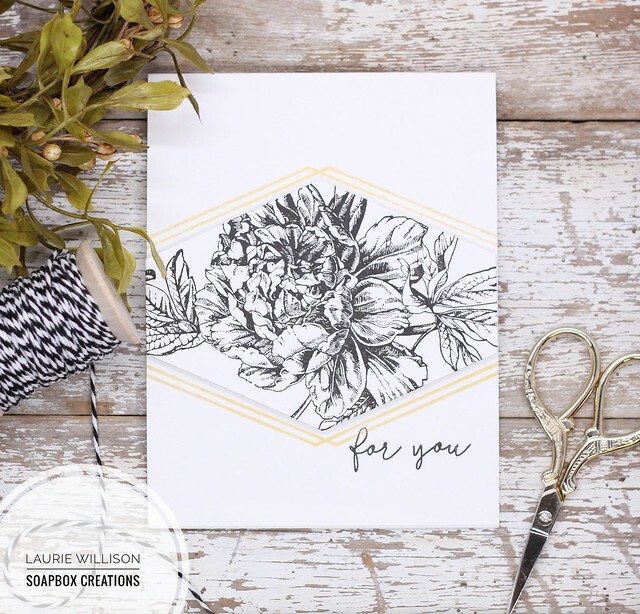 Using the Kindness Noted dies, I cut out the large floral stamped in black. I used the angled lines images to create a border in gold ink, then I popped up the floral center with foam tape for some dimension. I added the "for you" to finish off the card. This set is just so elegant and makes for a beautiful clean and simple card. The possibilities with this set are endless! I am defiantly a fan of this adorable new company! I will have lots more to share this month on my blog using these sets, so stop by and visit! Wonderful cards Laurie, love the first one!! What lovely cards!! I adore the first one!! Oh, thee are all so beautiful! I've revisited them so many times on Instagram. I'm loving this new company, too! I just barely opened my first order, and now I'm wishing I had ordered more! Love them.